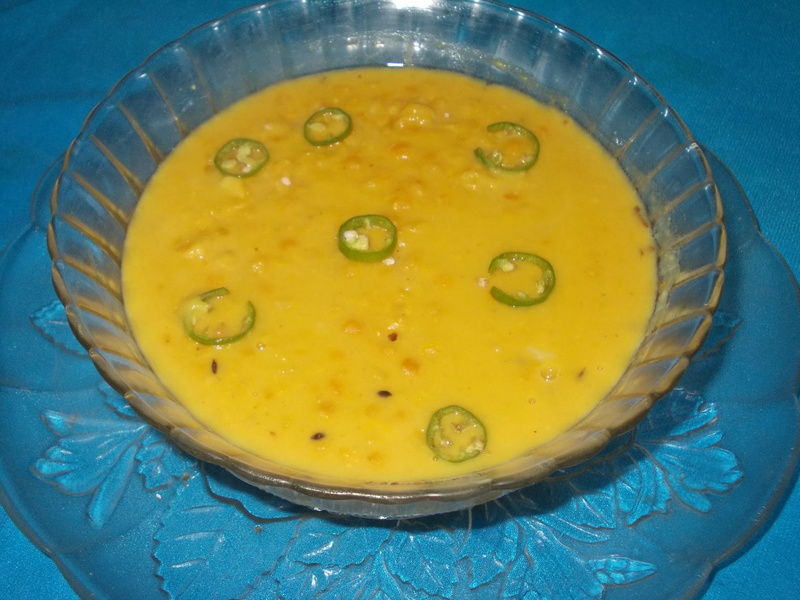 Bengali Cholar Dal is a traditional Bengali recipe. The aromatic flavour of chana dal (cholar dal) with coconut & spices is the main attraction of this dish. It tastes best when served with hot luchi/puri. Boil chola dal with turmeric powder, salt & 2 cups of water. Add cumin seed, bay leaves, asafoetida, dry red chilli & stir for a minute. Add the boil dal, salt, sugar, coconut. Cook for few minutes til it thickens. Add raisins & remove from heat. Serve hot with luchi or paratha.